When I hear Thunder, I take a Bow. 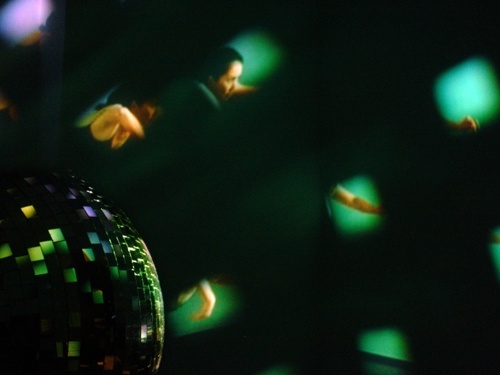 The resulting video is projected onto a crashed disco ball, sitting on the floor, slowly rotating, dragging the chain that at one time held it suspended from the ceiling. The projections is refracted off the mirrored ball, sprayed throughout the space fractured into hundreds of projections.